Happy Monday, everyone! I for one am not ready to get back to school (it's midterms week....), but we gotta do what we gotta do right? Get a large coffee, turn on some tunes, and handle it. BUTTTT. I have some exciting news for all of my Nashville readers! There's this super rad little joint opening up called American Threads that stocks some of the raddest and hippest designers and styles. I was lucky enough to get a preview of what they've got going on and I'm in loveeee. 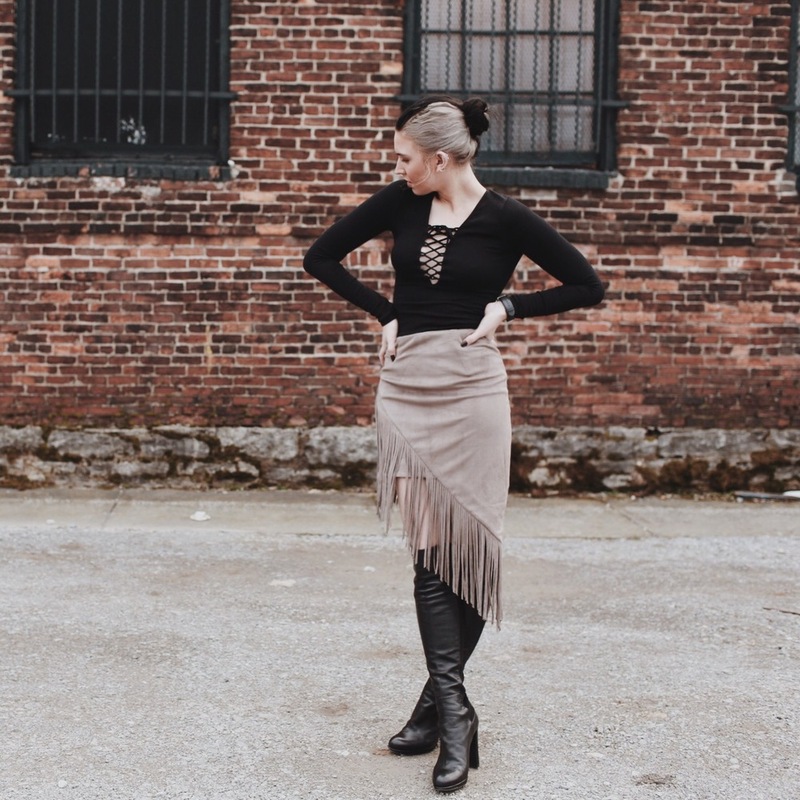 I was able to snag this skirt and have been pairing it with oversized sweaters on chilly days, tight lace up bodysuits (as seen here), and cropped tops for the warmer days. The vegan suede is incredibly soft and adds a little rock and roll punch to an otherwise structured outfit. With brands like For Love + Lemons, One Teaspoon, and Chaser, American Threads is guaranteed to have something for everyone. "But Morgan, I don't live in Nashville", some might be saying. Well no worries, they have an online store as well! Have an amazing week everyone, all my love!